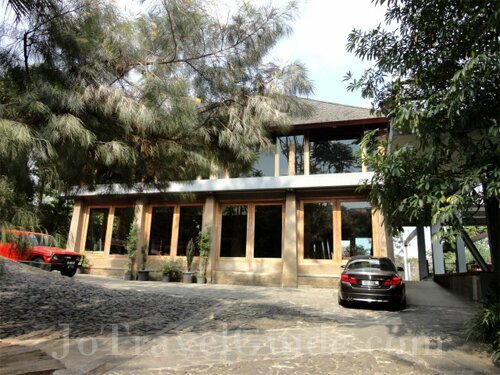 Fancy of Western Dishes in Bandung? The first restaurant was established in Texas, USA in 1979. It serves Mexican dishes such as Burritos, Tacos, Tostadas, and so forth. Wooden interiors and ornaments inside the restaurant will fill you up with a country western atmosphere in here. Click the picture above for more and bigger photos of Amigos Mexican Restaurant. Remarks : Wi-Fi available. Credit card and debit card payment accepted. There is a live music performance on weekdays starting from 8pm to 11pm and weekend at 11pm till end. Congo was established since 2005. 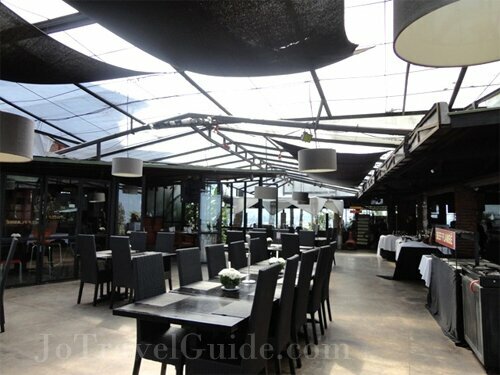 The restaurant has three dining areas: 1) "A area", which is the main dining area, 2) "café area", which is an open area with wooden interior design, and 3) "VIP glass house", which is an indoor room decorated by glasses. Congo serves western dishes, such as steak and pasta, as well as and Indonesian dishes such as "sate lilit" (Balinese Minced Seafood Satay) and oxtail soup. Click the picture above for more and bigger photos of Congo. Remarks : Congo has a tropical solid wood gallery on the top floor of restaurant. The gallery displays various tropical solid woods, such as teak wood and lingua wood that are taken from regions in Indonesia. 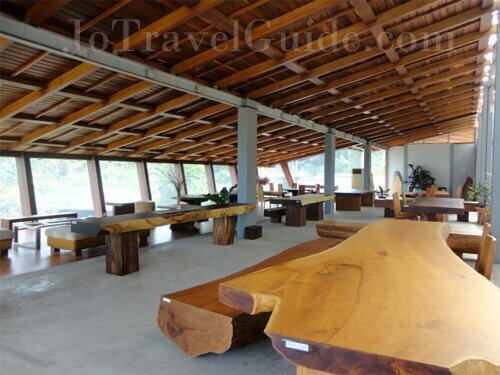 Moreover, visitors can see a wood cutting machine displayed in front of the restaurant. Established in 1999, Dakken Coffee & Steak occupies a typical Dutch architecture building with comfortable couches, thick wooden table, and a small little park behind the restaurant. 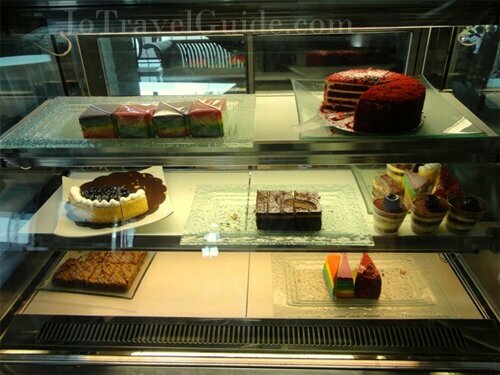 This western dishes restaurant’s specialization are steak, both local dan imported steaks, and its coffees that are also suggested to accompany their cakes. Click the picture above for more and bigger photos of Dakken Coffee & Steak. Remarks : credit card payment accepted, alcoholic beverages are available. Started in 1940 in Boston, USA, by the entepreneur Bill Rosenberg and renamed to Dunkin Donut in 1950. Located within Sheraton Hotel Bandung, Feast Restaurant is an international cuisine restaurant that serves Asian food, Italian food (e.g. pizza made in stove and pasta), and so on. 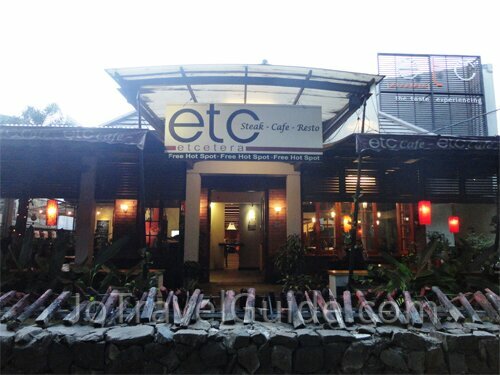 Indonesian cuisine like grilled satay and mie tarik (handmade noodle which stretched and pulled) are also available here. Click the picture above for more and bigger photos of Feast Restaurant. Remarks : credit card payment accepted. Peak period is during the weekends. Feast Restaurant usually holds special program called “Crazy Deal Returns”, which offers a special price for international dinner buffet, and is held two days in every month. Lawangwangi Bistro Café is a restaurant that is located within the ArtSociates Lawangwangi area, a big gallery that is situated in a highland of Bandung. 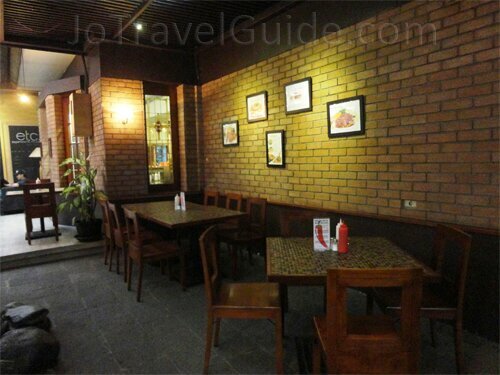 The restaurant serves Indonesian dishes like "Nasi Goreng Cingur" and Western dishes like "Chicken Lawangwangi" (grilled chicken steak that is served with mushroom, cheese, and french fries). As for dessert and drinks, they recommend "Morgan Green", a mix of banana, ice cream and "colenak sauce" (a local recipe) and "Lawangwangi Blue Punch", a mix of strawberry and blackberry syrups and soda with basil seeds and fresh strawberry, blackberry, and cherry. 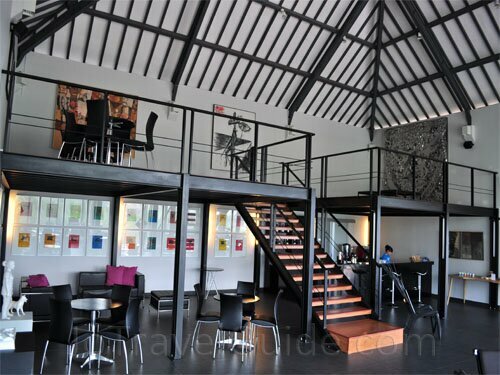 Click the picture above for more and bigger photos of Lawangwangi Bistro Café. 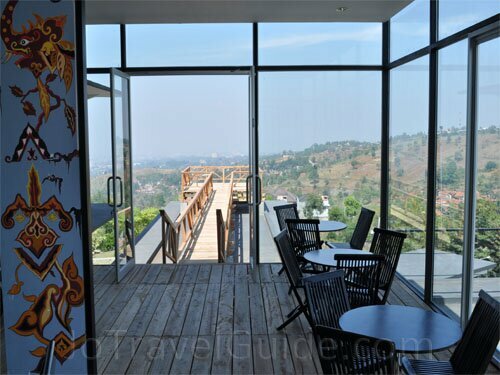 On the roof top of the restaurant, there is a wooden balcony, where guests can see a beautiful city lights of Bandung at night. Declared as "The New Romantic Place", Lawangwangi Bistro Café is a good choice for you who want to have a romantic and memorable dinner with your special one. Remarks : credit card payment is accepted. Alcoholic beverages available. 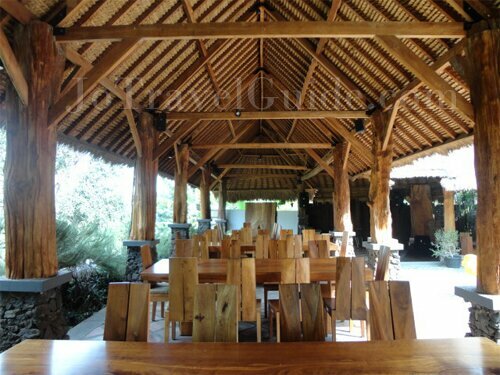 The restaurant can also be used for events like gathering (for more than 50 persons, it is suggested to make a prior reservation one month in advance) and wedding party with a maximum of 200 guests. Valet parking is available for the events. 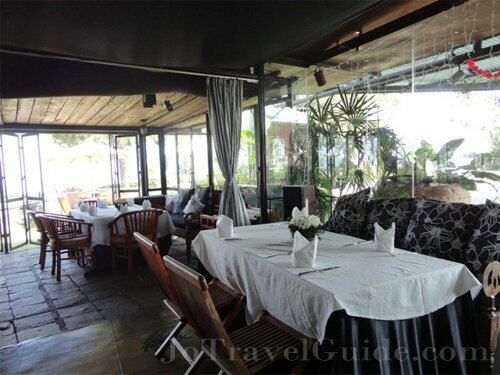 Lawangwangi Bistro Café has special offers for dining out on New Year’s Eve: Rp. 250,000/person, Rp. 475,000/couple, and Rp. 900,000/4 persons. If you are interested, please call the restaurant before 26 December 2012. Origin Restaurant has been established since August 2010, The restaurant is specialized themselves in best quality healthy foods, without preservatives and additives (MSG). 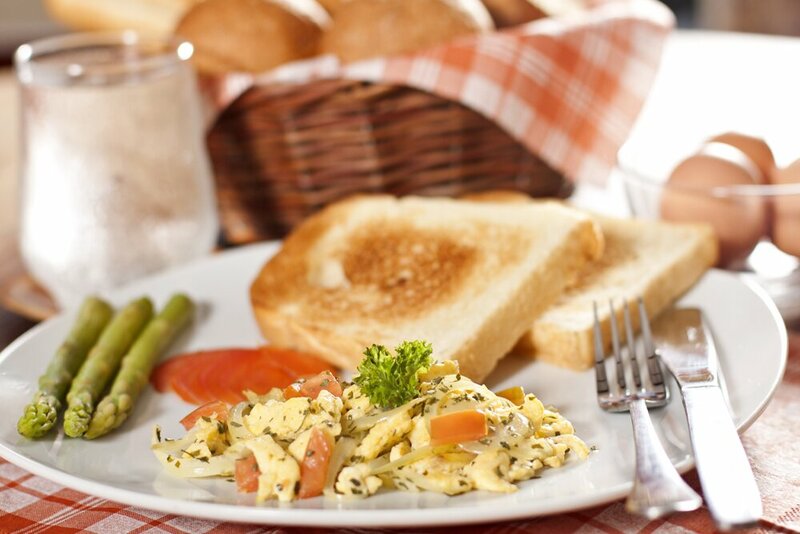 They use organic chicken, fresh vegetables and fruits. 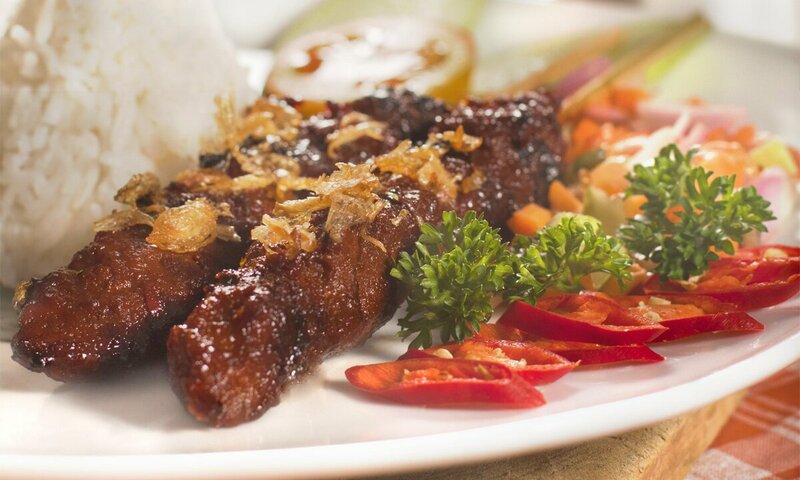 Origin Restaurant is well known for Western and Asian foods with salmon steak asi their favorite menu. Click the picture above for more and bigger photos of Origin Restaurant. Origin restaurant has an open space area with a "high saddle" roof that creates a pleasant air circulation. It also adopts a green building design by using roof glasses to make a natural day-lighting and to reduce electricity consumption. On the walls, you will find a vertical garden to give visitors fresh and green natural atmosphere in town! In front of the restaurant, there is a green shop that sells various organic foods and beverages. While in the middle of the complex, there is a household shop with eco-friendly concept. The restaurant and the two shops are connected by hallways and decorated with beautiful used glass-bottles. Remarks : alcoholic beverages are available. Pizza é Birra established in 2010, specializing in pizza, pasta, as well as beers. From their wide ranges pizza selection, Salame Piccante pizza is one of their favorite menus. Click the picture on the right for bigger photos of Pizza é Birra. Remarks : peak period during weekends. Credit card payment accepted, varian alcoholic beverages are available. Remarks : credit card payment available. Plate for Me is a restaurant with a distinctive decoration by beautiful arranged plates hanging on the walls. At the ceiling, there is a classic chandelier and a standing lamp made by a pile of cups in the corner of the room. Furthermore, thin painted-walls of the restaurant creates its "unfinished look". Click the picture above for more and bigger photos of Plate for Me. The restaurant has been established since 2011 and offers Western food, such as such as Black Angus Sirloin/Tenderloin (imported beef from New Zealand and US with optional sauce such as mushroom, barbewque, black pepper and optional potatoes such as french fries, mashed, and so on), Spaghetti Spicy Tuna, Pizza Carbonara, and Indonesian food like Sop Buntut Bakar (grilled oxtail soup). Remarks : credit card payment accepted. Live music every weekend, starts from 7pm to 10pm. Sunday Jazz every twice a month (2nd and 4th weeks of a month). Alcoholic beverages available. This restaurant can be used for pre-wedding photo with minimum order Rp. 500,000. Rocca and Company was established on 20 April 2011. This restaurant's specialization is on pizza and plenty choices for beer lovers. Their pizzas are thin, not like common pizzas found in chain restaurants. 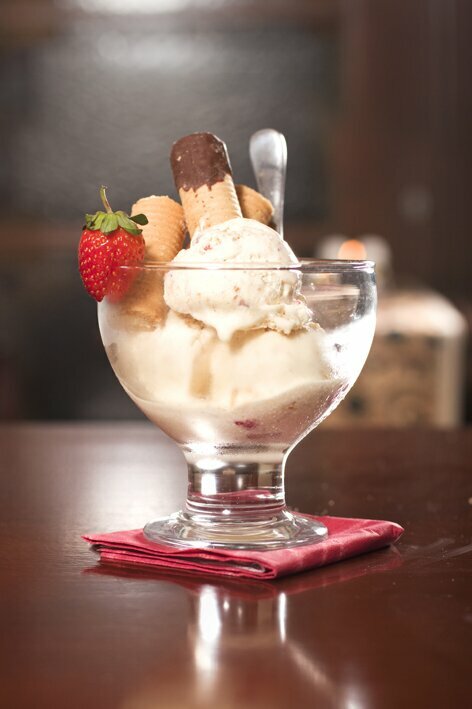 Apart from pizza they also serve other western dishes such as Chicken Kiev and Chicken Pesto Linguini. Rocca and Company also has Indonesian dishes on their menu, such as "gulai" and "sop buntut". Remarks : accepts credit card payment. 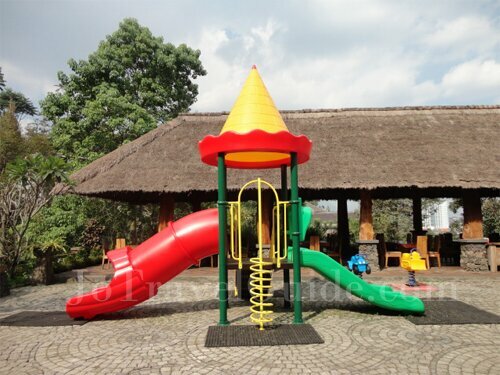 Apart from serving sausages, his speciality, the restaurant also has a set of facilities, such as spa & reflection massage, cafeteria, souvenir shop, a small warung, a sossis train, and games area. Entrance fee to outdoor games area is Rp. 3.000/person but you need to pay more to play the games, from Rp. 5,000 to Rp. 30,000, depending on type of games. A few Indonesian celebrities have visited this restaurant. 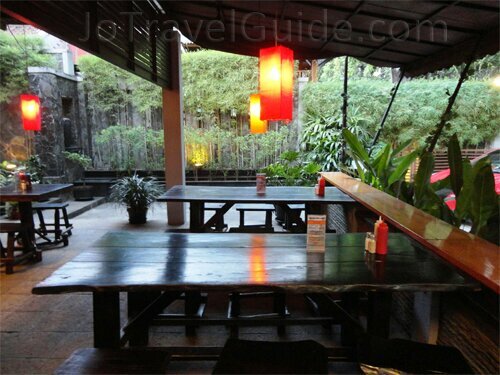 Click the picture above for more and bigger photos of Rumah Sosis Restaurant. Remarks : credit card and debit payments are available. The restaurants are only open on Friday, Saturday, and Sunday from 9am to 9pm. Seleras’s Restaurant has been established since 2011 and specializes in Western and Asian food. 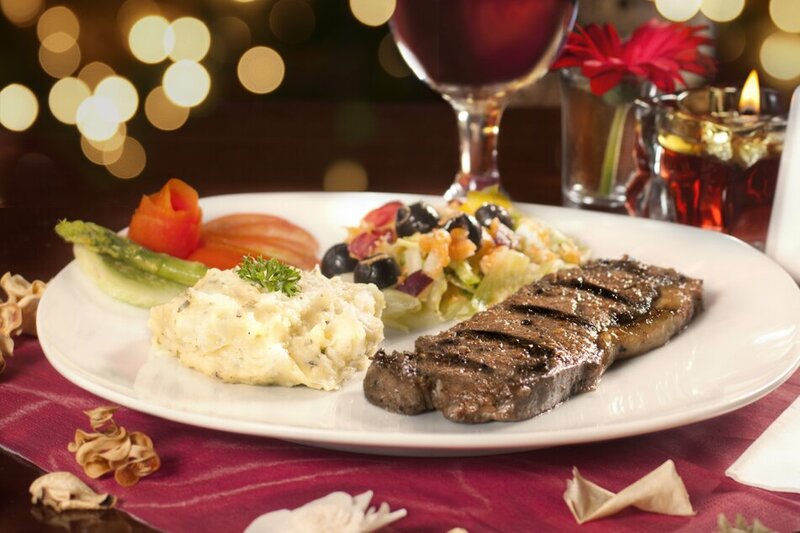 For Western food, you can try Seleras's Steak, which is made of a tender meat and is served with lyonnaise potato, mashed potatoes, or Selera's chips. While Asian food, there are "Sate Soema" (skewered and grilled meat, served with sauce) and "Sop Buntut Tumis Bakar" (Oxtail Soup). Selera’s Restaurant occupies a colonial building and is decorated with some colonial interior designs, such as patterned ceramic tiles and stained-glass sliding door. Click the picture above for more and bigger photos of Selera's Restaurant. Remarks : credit card payment accepted. Alcoholic beverages available. Selera's Restaurant will hold BBQ Night on 30-31 December 2012. You can join the event by dining here with a minimum order of Rp. 50,000 (for steak and seafood) and get free refill! Sierra Café & Lounge is a western food restaurant, established in 2004. 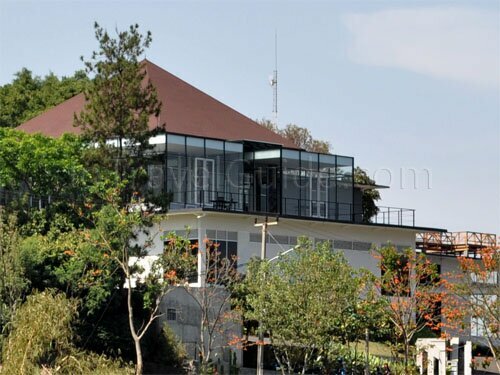 Located on a high ground (about 2000 feet above sea level) known as Pakar Hill, the restaurant has a nice climate and a beautiful view of Bandung city, as well as city lights at night as a background. 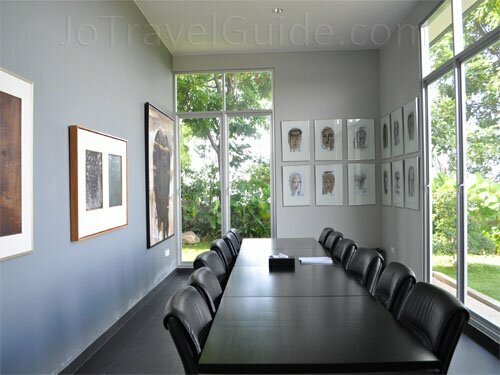 Sierra Café & Lounge has three floors: 1) Panorama Room for private event, 2) Lobby Lounge (the main area), and 3) Bukit Pakar Hall. First and third floor only opened on weekend. 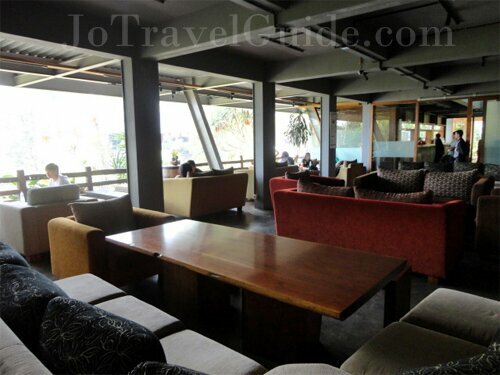 Click the picture above for more and bigger photos of Sierra Cafe & Lounge. Their favorite food is Sierra of Beef Steak, which is a grilled tenderloin served with cauliflower, broccoli, mushroom sauce, and so on. Apart of western food, Sierra Café & Lounge also serves Japanese and oriental dishes. Remarks : credit card payment available. Alcoholic beverages are available. Daily live music from 8pm to 10pm. 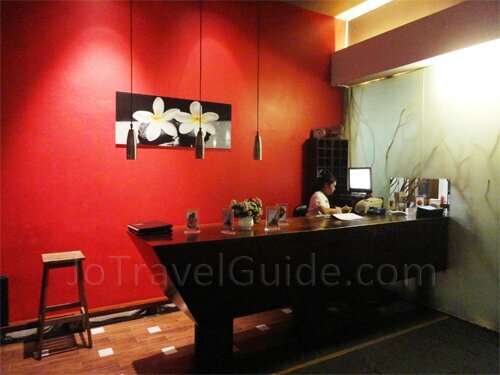 A wine lounge and restaurant with Wi-Fi internet access. It was established on 16 December 2001. Click the picture on the right for bigger photos of The Cellar Restaurant. 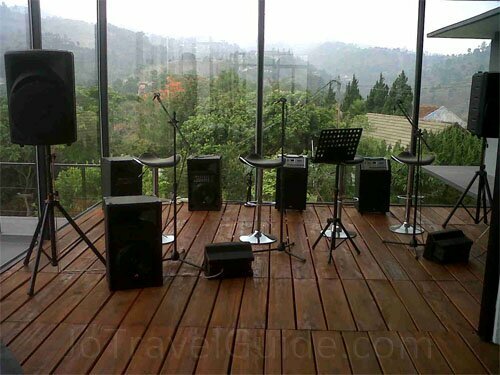 Remarks : live music every night, every Friday night Jazz performance from Indonesia or abroad. Special menu: Norwegian salmon and Australian lamb chop. credit card payment accepted. 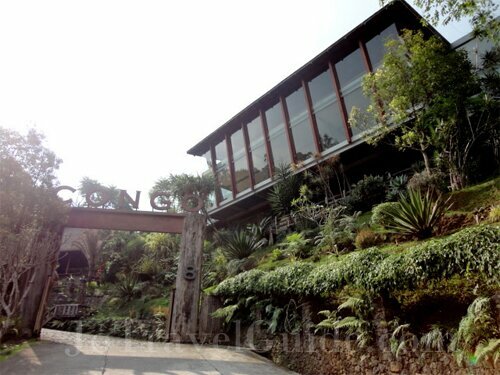 The restaurant is located slightly above 1200 meters (3936 ft) above sea level, and is at about 40 minutes drive from Bandung to the north. 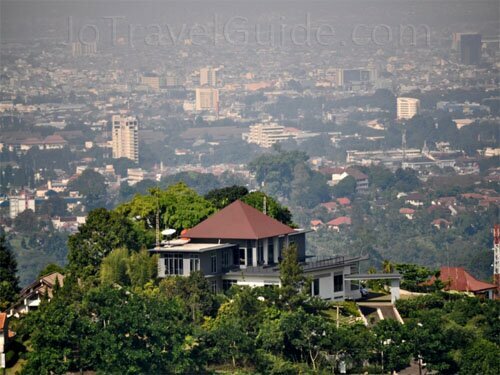 It has a beautiful view of Bandung city in the evening. One of the most recent top guests was the Hungarian President who had lunch on 23 May 2008. 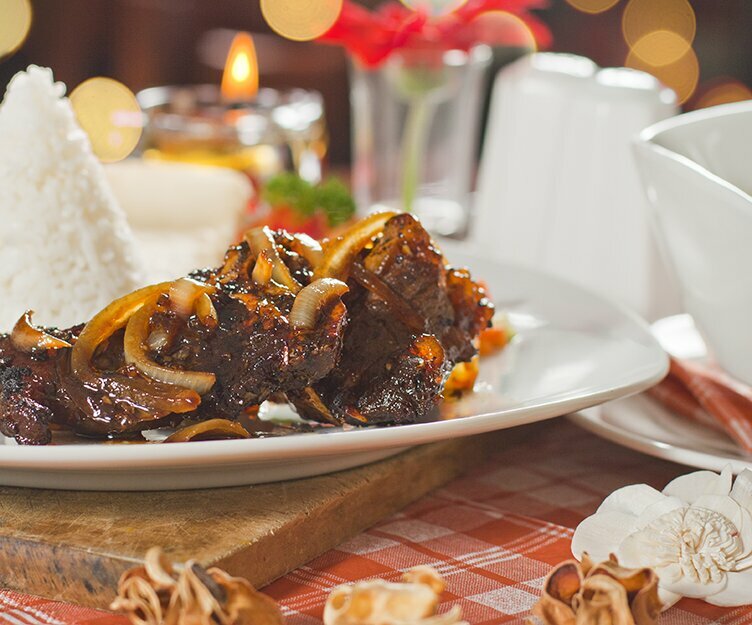 Their food specializing is western food and their favorite menus are, such as, Beef Flambe and U.S. Black Angus Prime Sirloin (organic), while its local menu’s favourite is Sop Buntut (soup of cow’s tail). Click the picture above for more and bigger photos of The Peak Restaurant. Remarks : reservations is suggested for weekends dinning. No particular dressing code, though a sweater might be needed in the evening. Wine is available. Credit card payment accepted. Live music on Friday and Sunday at 8pm-12am, Saturday at 8pm-1:30am. Vienna Resto and Lounge specialises in steaks and pasta. The restaurant also serves various dishes from salmon to deer. 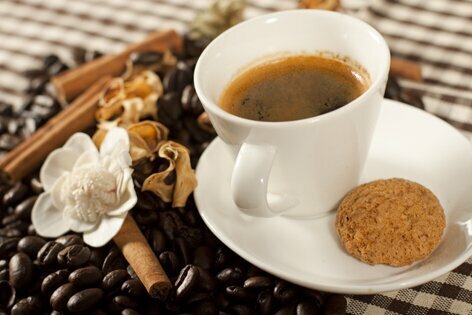 For drinks, they have delicious coffee and a range of wines. 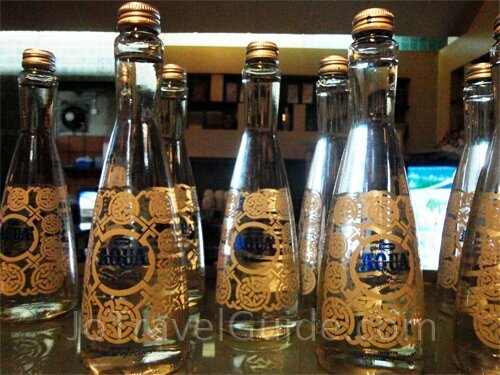 Click the picture above for more and bigger photos of Vienna Resto & Lounge. Remarks : peak period during weekends. Accepts credit card payment. Alcoholic beverages available. 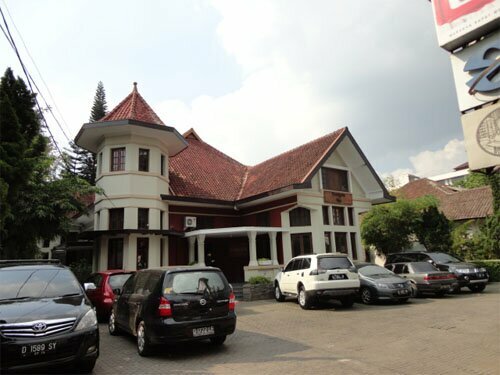 Warung Pasta was first established at Kemang, South Jakarta in 2006 and already spread their branch to several cities in Indonesia, such as Bandung, Yogyakarta, and Depok. As suggested by its name, their food specialization is pasta with home made sauce. They have a wide range of pastas, such as spaghetii, fusilli, fettucinne, and so forth. Its all time Their most favorite menu is the Meat Lovers. Click the picture above for more and bigger photos of Warung Pasta. Remarks : credit card payment is accepted. Peak period during weekends. This restaurant is all about sausages. Click the picture above for more and bigger photos of Winner Bratwurst Restaurant. Remarks : accepts credit card payment. University students get 10% discount.